Celebrate a New England tradition and add whimsical smiles to your spring with Annalee’s festive dolls and decor. As friends and neighbors of the New Hampshire Lakes Region, we have some special offers just for you! Our Easter Collection if full of bright and cheery designs sure to add some smiles to your spring! Discover the fluffy ducks, festive rabbits and fun-loving mice of Annalee, perfect for Easter decorating and gifts. SPECIAL OFFER: As friends and neighbors of the Lakes Region, we are pleased to extend 20% savings on your next order. Our Assembled in America Collection features limited edition collectibles, each is numbered and signed by the designer. Discover NEW spring additions to this popular collection including our Saint Pat’s Pals, Sugar House Mouse and Rejoice Angel designs! Hurry, these items don’t last and only 500 dolls of each design are available. Buttercup, Coco and Boomer are new to the Annalee family! 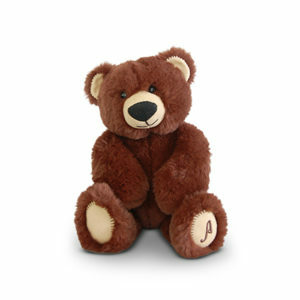 These classic plush teddy bears are ideal for cuddling, and are a great gift for all ages! Their ears and paw pads feature a special stitch resembling Annalee’s signature furrier stitch. There is even an embroidered “A” for Annalee, adorning their left paws. Annalee has been a New Hampshire tradition since 1934! Stop by our charming Gift Shop in Meredith, NH and watch our designers at work while you shop the latest Annalee designs. Don’t miss our upcoming Annual Build-a-Bunny Event on April 8th. This fun-filled family event gives you the chance to design your own Annalee bunny complete with an outfit and accessory! Our next catalog will be mailing soon!